A magical realm divided by differences. An evil sorcerer determined to rule them all. Can Maelona help bring the people of Sterrenvar together to save the realm from enslavement? The magical realm of Sterrenvar is a world divided by differences, where the inhabitants keep mostly to their own kind, be it human, shifter, or sorcerer. When a group of seers are warned through visions of an evil, dark sorcerer intent on ruling the realm, seer champion Maelona Sima must set out for Eastgate to defend a magical keystone that can help protect the realm. Along the way, she must gain allies and convince the differing peoples of the realm to stand together as one to save their world from its biggest threat in 3,000 years. 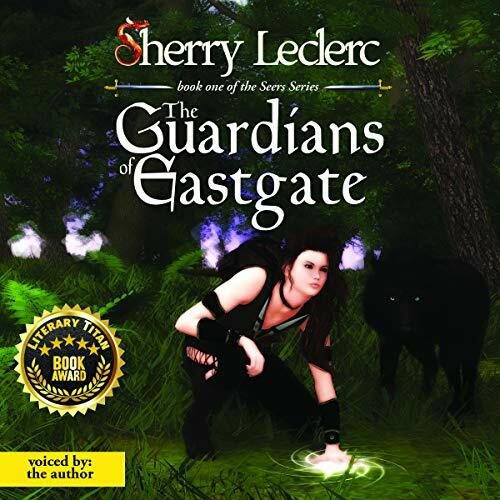 The Guardians of Eastgate is a story of self-acceptance and the acceptance of others. It is about learning to value our differences for what they can add to the whole. This message, so important in today's society, is all wrapped up in an exciting, action-filled fantasy-adventure novel that is sure to entertain. This new, expanded, and revised second edition of the first book of The Seers series, The Guardians of Eastgate, includes over 12,000 words worth of added dialogue and extended scenes.